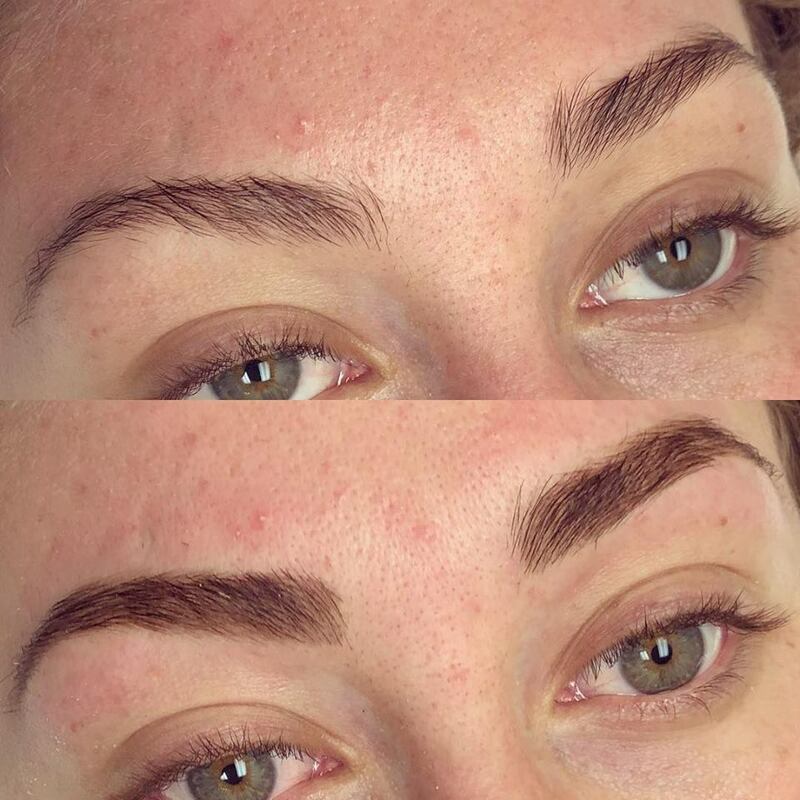 Henna Brows is a new concept in the beauty world. This is like a brow tint but it last on not only the skin but the hair as well. this is one of Lindsay's personal favorite services! Who would benefit from Henna? Those with a good amount of brow hair who are looking for a powdered in look. It last on the skin up to 2 weeks and the hair for up to 6 weeks. 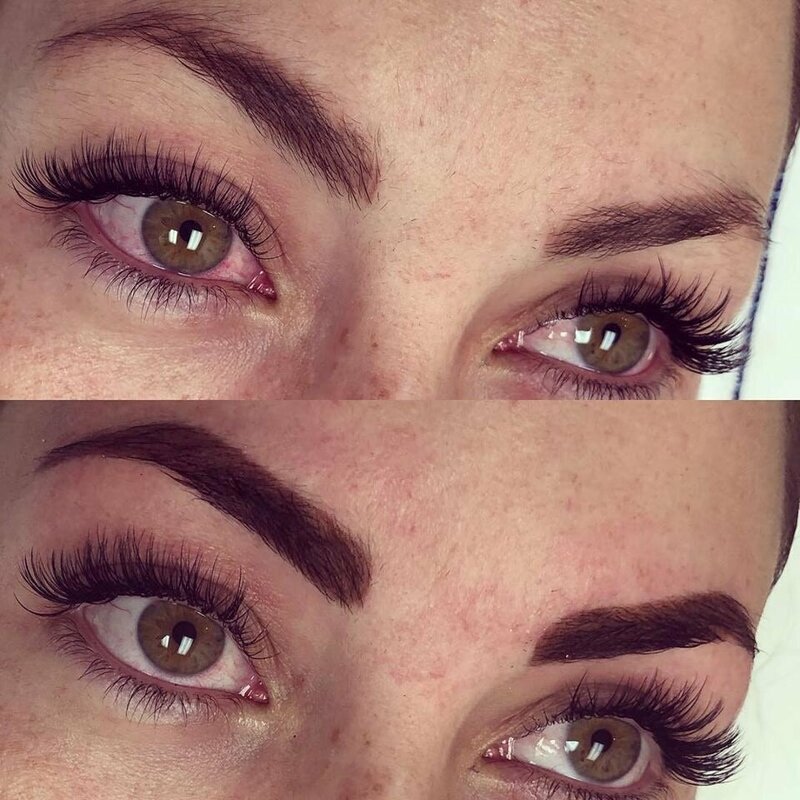 if your brow hair is dark you may only notice it for the first two weeks on the skin. If you have lighter brow hair they will become tinted from the henna for up to 6 weeks. 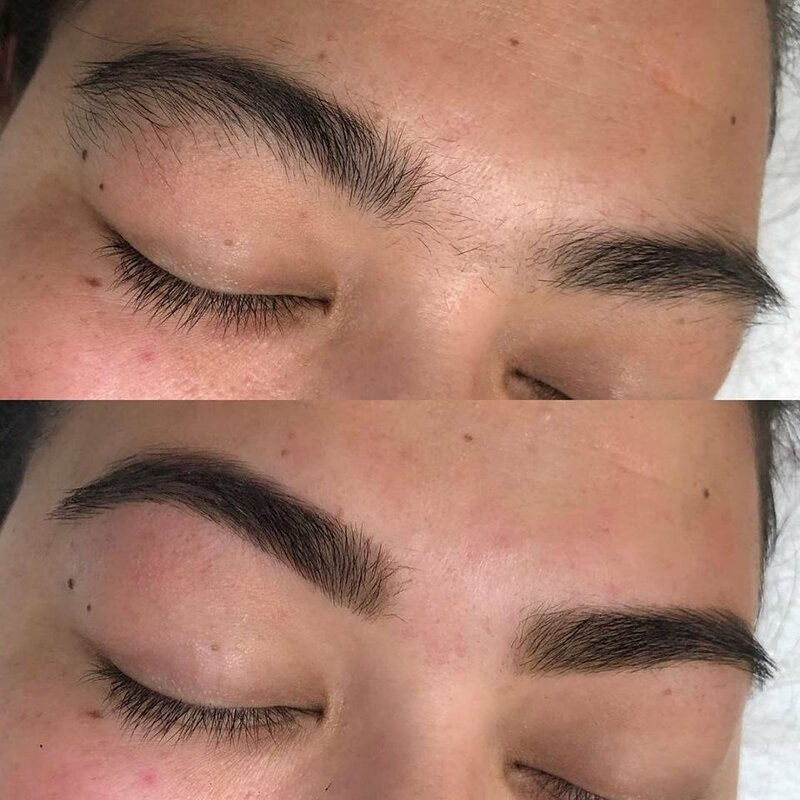 If you have little to no hair this service is not for you and you may be unhappy with the result and it may not look as natural as those with moderate to heavy natural brow hair. 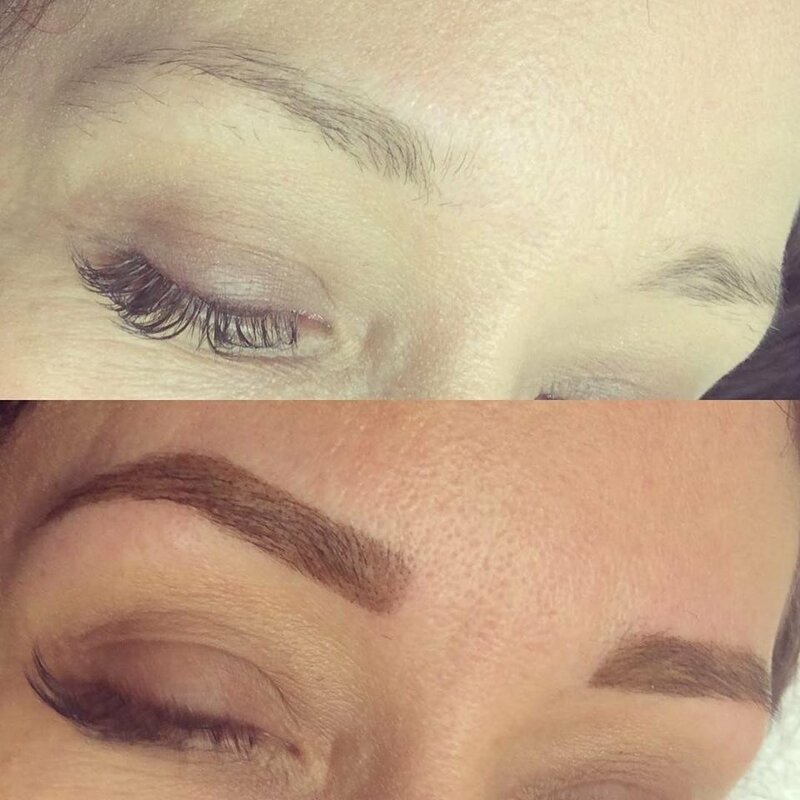 This is great for those going on a vacation, for monthly brow maintenance or if you are wanting to try it out before permanent cosmetics or microblading.